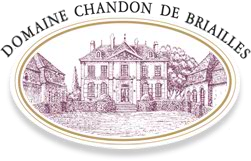 On the lower mid-slope, under the Corton Bressandes and beside the Corton Vergennes, it is shallow limestone terroir facing due east and offers early ripening. Much elegance is found in this wine which has the particularity of being suitable for tasting young. Said to be feminine for its finesse and freshness but also for its soft structure and velvety texture. Even if it is tempting to drink it in its 3rd or 4th year, it is preferable to keep it 8 to 15 years. A late wet spring with rain during flowering. A high level of disease pressure, predominantly from downy mildew that was well managed by the domaine. Grapes reached optimum ripeness thanks to their healthy foliage. Vine yields were low due to the millerandage from the cold and wet flowering. Half the normal crop was picked, starting on september 20th with a good latter part of the saison. Grapes had an exceptional quality and in turn made extremely balanced, intense and vibrant wines. Great potential for ageing reds and whites.